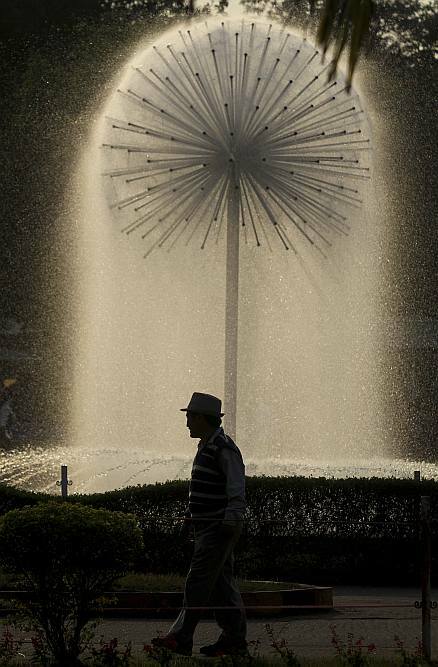 A man walks past a water fountain during the Festival of Tibet, a five day event in Guwahati, Assam. 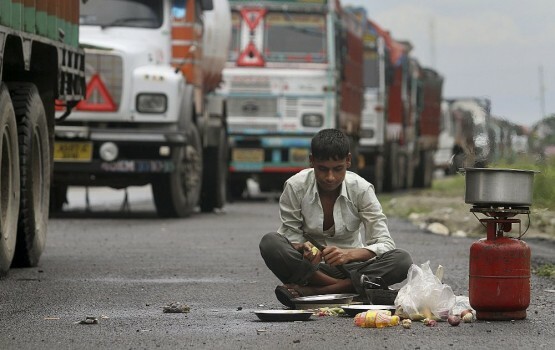 A trucker prepares a meal on a road. 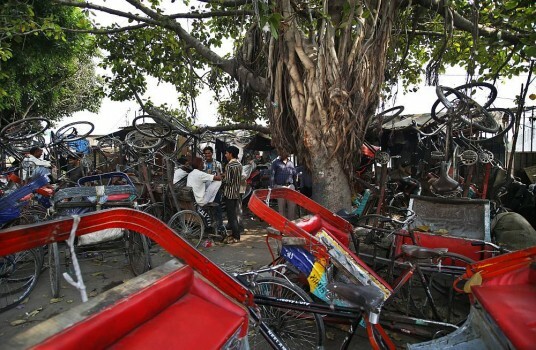 Many vehicles were stranded during a mass rally of All Bodo Students Union (ABSU) on a highway in Barama, Assam. 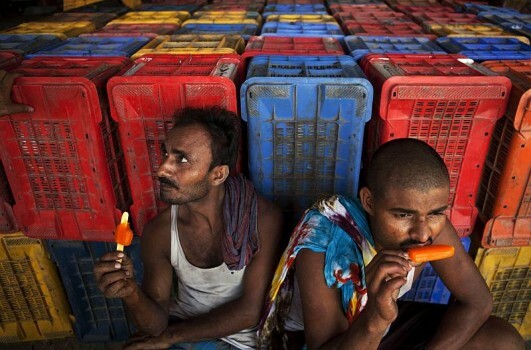 Rickshaw pullers catch up at a maintenance workshop in New Delhi. 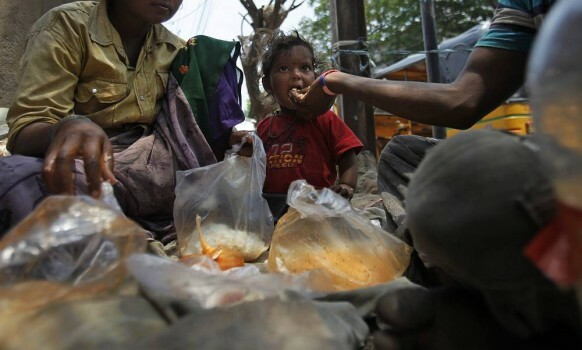 A rag picker feeds her child by a road side in Hyderabad. 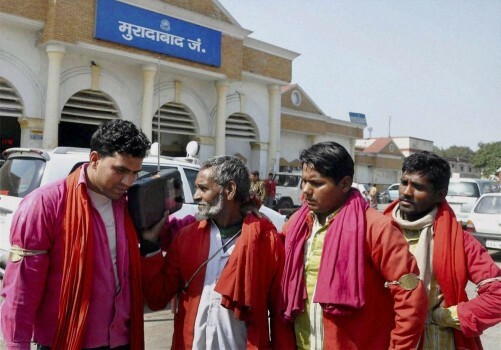 Porters listening to the Railway budget 2013-14 speech on a radio set in Moradabad. 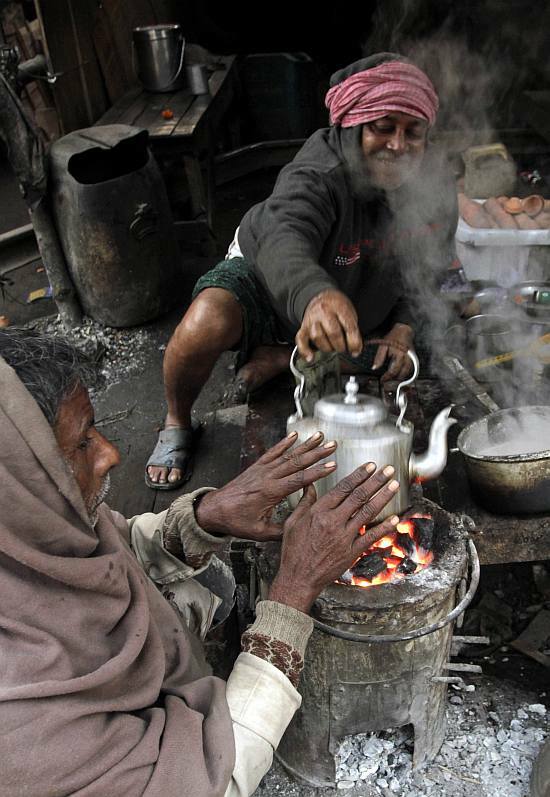 A man warms his hands over a stove at a roadside tea stall on a cold winter morning in Kolkata. 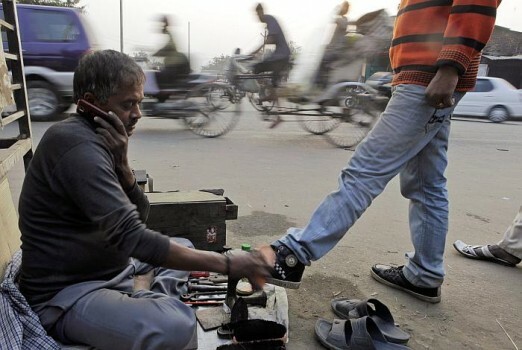 A laborer washes himself at an outdoor tap on a cold winter morning in New Delhi. 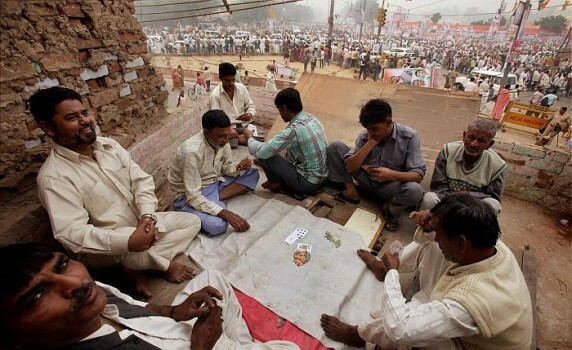 A group of people playing cards on the roof of a building as Congress supporters leave after the party's FDI Rally at Ramlila Maidan in New Delhi. 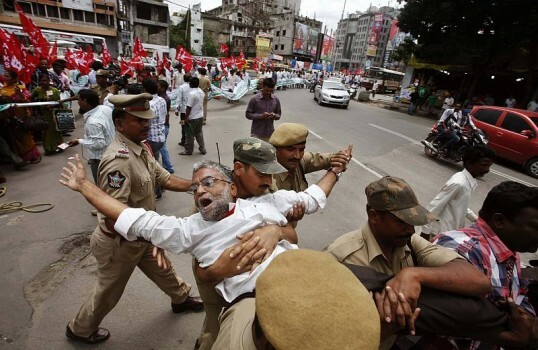 Police detain an activist of All India Kisan Sabha (AIKS) during a protest in Hyderabad. 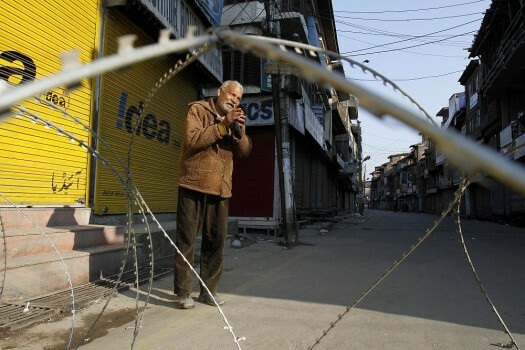 The protestors were demanding or ration shops, irrigation facilities and pensions. 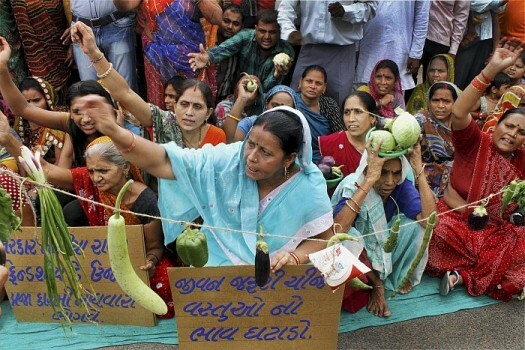 Manav Adhikar Samit supporters hold banners and protest against the State Government for vegetable and groundnut oil price hike in Ahmedabad. 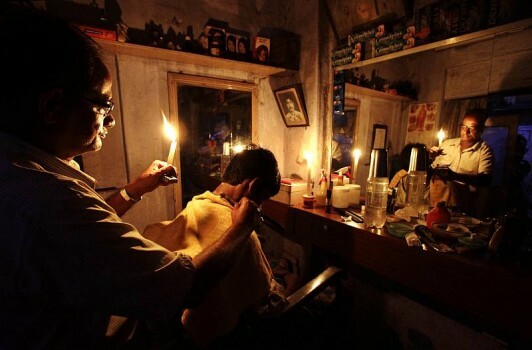 A barber holding a candle gives a customer a haircut at his shop in Kolkata. 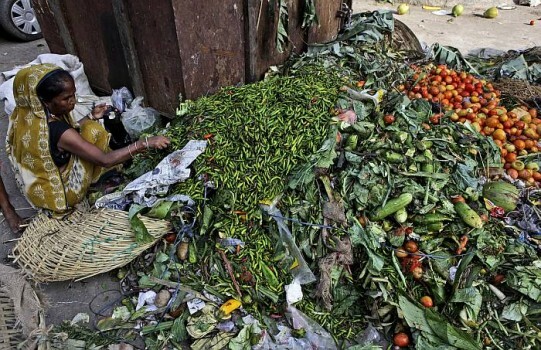 Three power grids in the country collapsed affecting millions of people. 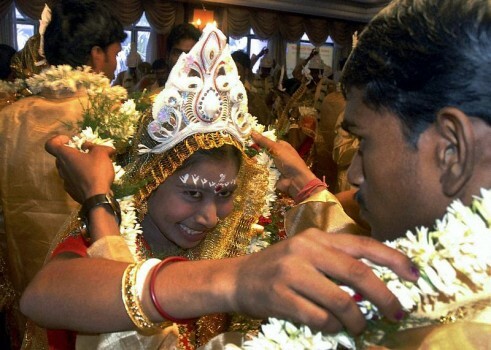 Couples from under-priviledged backgrounds, tie the knot during a 'Mass Community Marriage' ceremony,in Kolkata. 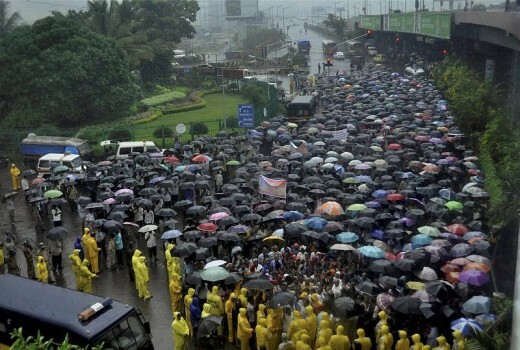 People stranded after a chaos following monsoon showers in Mumbai. 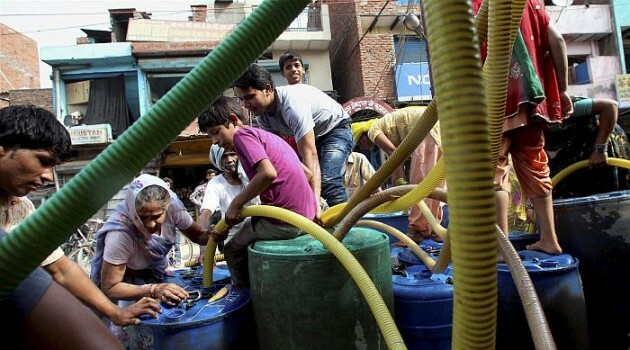 People collect drinking water from a tanker at Okhla industrial area in New Delhi. 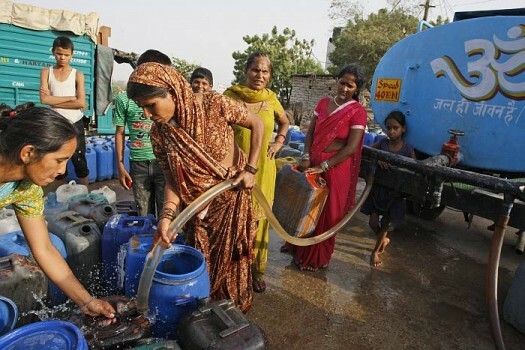 The area is facing acute shortage of water. 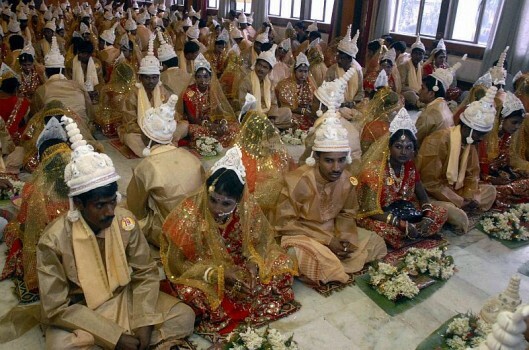 The surgery on 85 per cent of India’s cash can’t stanch the flow of common misery. 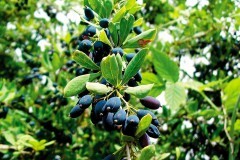 Even those who agree with the idea bemoan the absence of wise, steady hands.